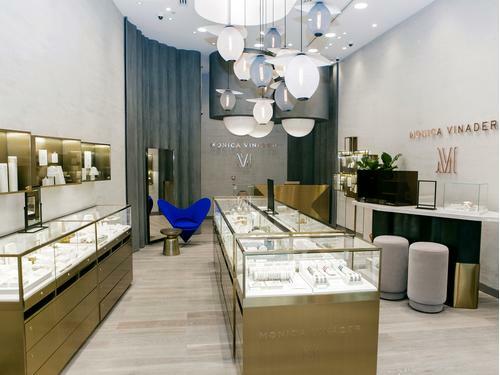 Introducing our new flagship boutique in Dubai, in the newly launched Fashion Avenue at Dubai Mall, our fourth boutique since launching in the region in 2015. 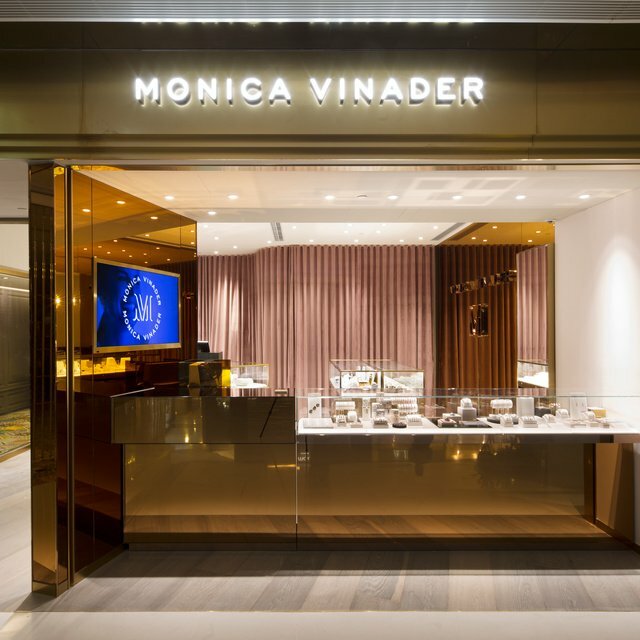 We invite you to walk through the spectacular brushed brass façade, across the marble flooring to discover bespoke jewellery vitrines housing our iconic collections, as well as Monica's sketches and collectables, which allows you to delve into Monica's world as you shop. Lit by eye-catching Mathieu Matégot Satellite pendant lights, our new boutique features a selection of hand-selected furnishings, including a mid-century Verner Panton Heart Cone Chair in striking Majorelle Blue and an elegant brass frame mirror, in-keeping with the contemporary yet glamorous environment of the boutique. 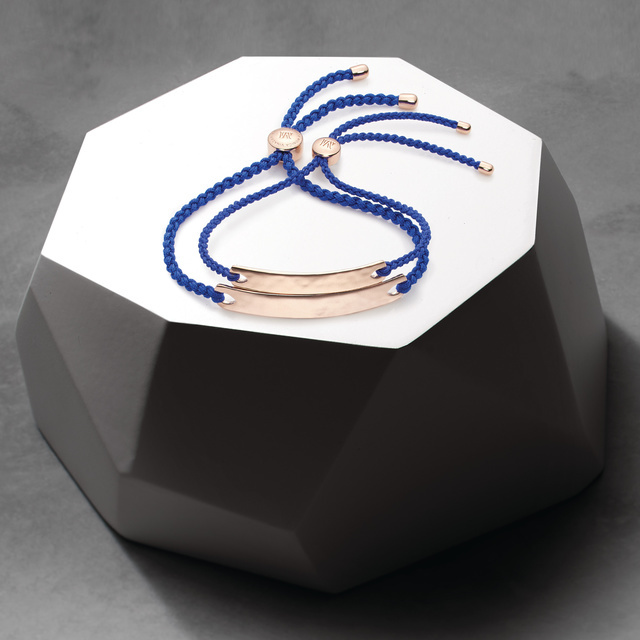 Bespoke brushed brass feature boxes showcasing our everday jewellery collections. 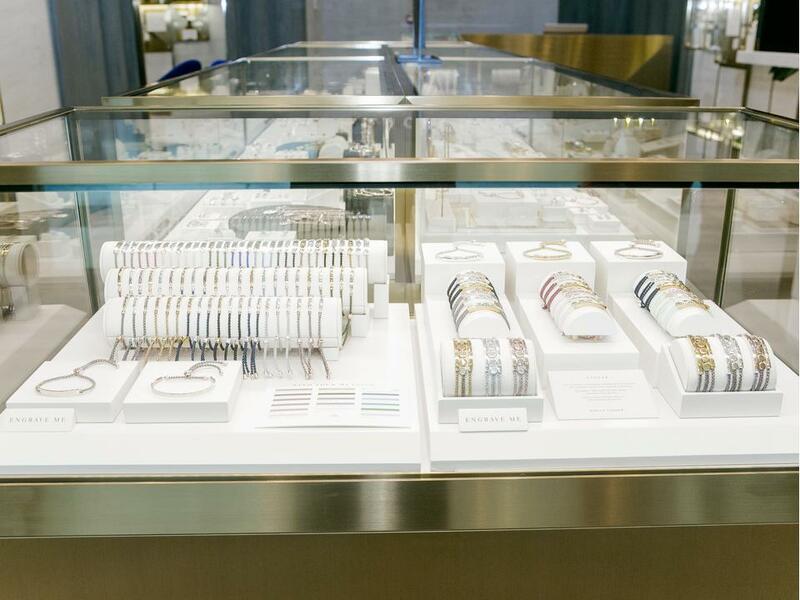 Our iconic Friendship bracelets housed inside bespoke jewellery vitrines. 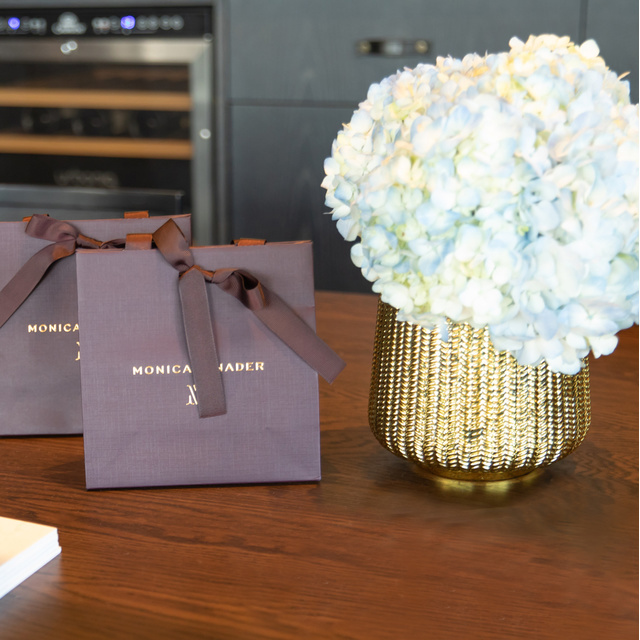 With personalisation remaining at the heart of the Monica Vinader experience, our new Dubai Mall boutique features a custom-made, free-standing engraving bar made from our signature black steel and brass base and finished with a marble top. You will be able to personalise your Monica Vinader pieces with names, messages, motifs or even hand-drawn doodles using our complimentary, same-day engraving service. 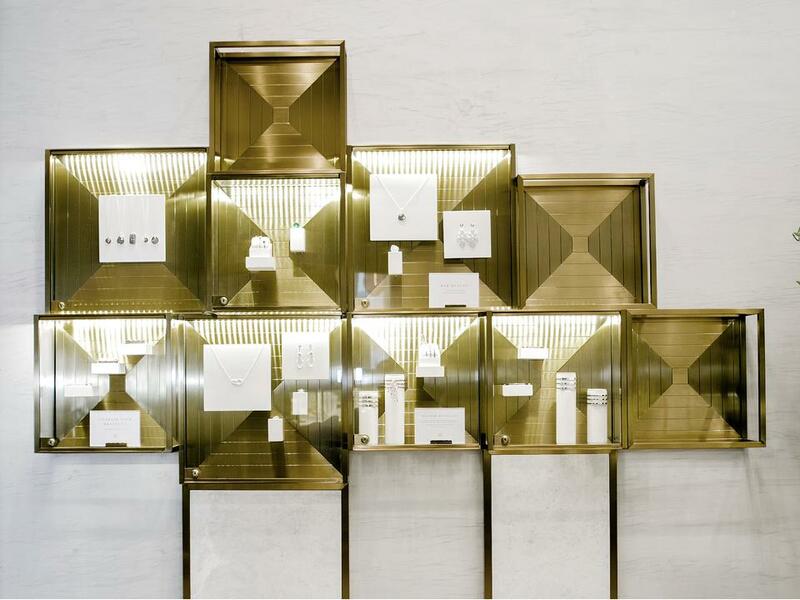 Mathieu Matégot Satellite pendant lights illuminating our new Dubai Mall boutique. 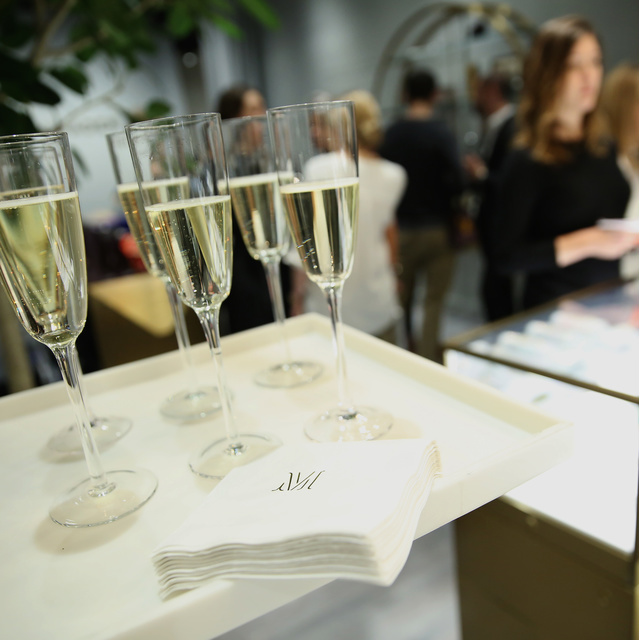 Come and visit our new boutique and discover the full Monica Vinader collections, from friendship bracelets and genuine semi-precious gemstone pieces, to ethically-sourced pavé set diamond jewellery.